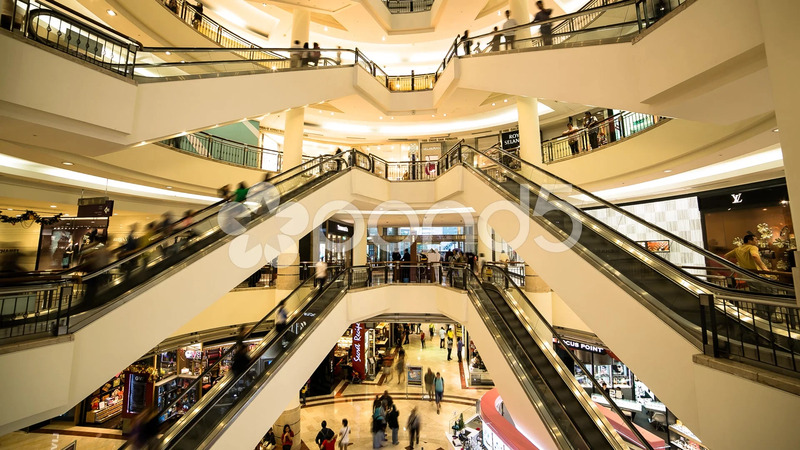 Description: A timelapse inside Suria KLCC Mall in Kuala Lumpur, Malaysia. Moving escalators and people can be seen in the footage. Several shops are also visible.